For most ad campaigns, winning gold at the Cannes Lions is the ultimate goal, often capping many months of industry acclaim and passaround. But here’s a good example of an advertising effort for which Cannes was more of a launchpad than a finish line. 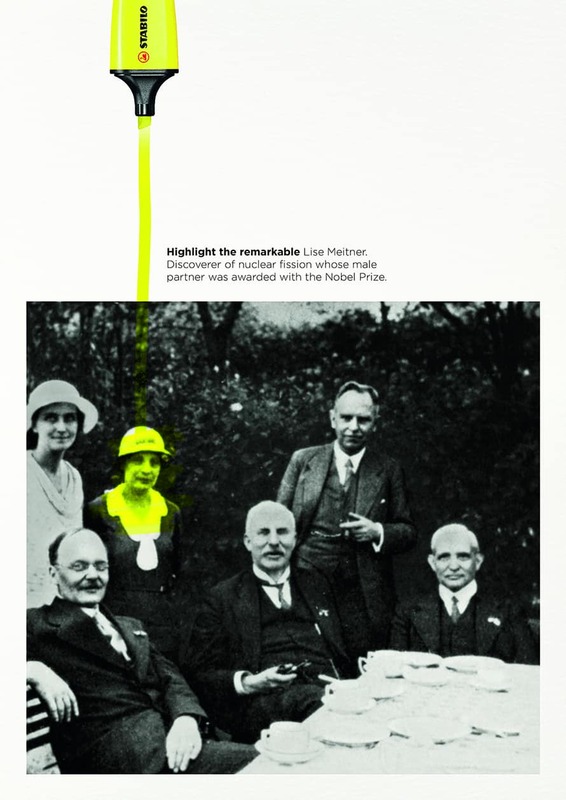 DDB Group Düsseldorf’s “Highlight the Remarkable” campaign for the Stabilo Boss highlighter pen won gold in Outdoor and silver in Print at the Cannes Lions International Festival of Creativity last month, and in the weeks that followed, the English translations of the campaign began spreading widely through Twitter and other social platforms. 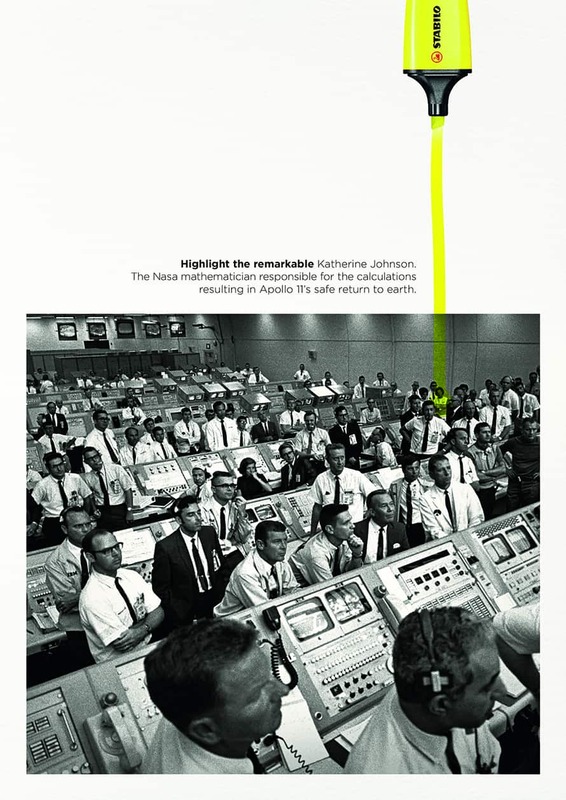 Each ad features a historic, black-and-white photo with a yellow highlighter streak calling out one “remarkable” woman and her accomplishments. Featured are NASA mathematician Katherine Johnson, U.S. First Lady Edith Wilson and Austrian-Swedish physicist Lise Meitner. The ads began running in print and outdoor in Germany this spring and will run through the summer, according to DDB. They originally ran in German but were translated into English before the Cannes Lions. The campaign is “ongoing,” per DDB, which hasn’t said if or when more ads will be created for the series. Thanks to Twitter, the ads got a robust second wind after Cannes, with several tweets about the campaign being shared extensively. Like all noteworthy campaigns, the Stabilo work has sparked some debate online. 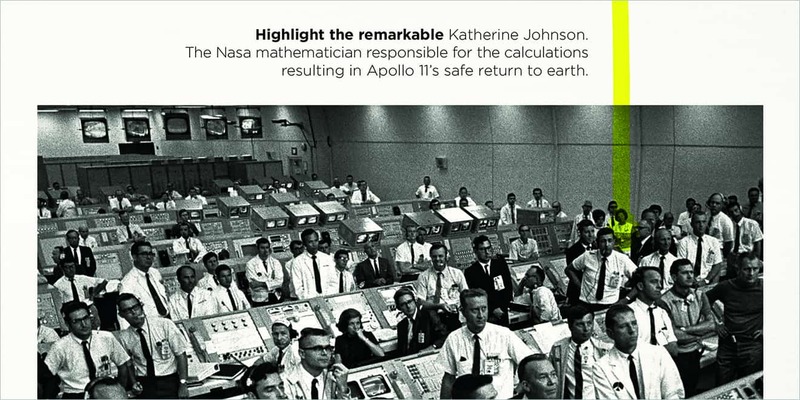 Some of it is specific to the copy, namely that Katherine Johnson is more famous for helping get Apollo 13 (not Apollo 11) safely back to Earth, though she did help calculate Apollo 11’s trajectory to the moon. And space enthusiasts are quick to note that “Nasa” should be NASA. 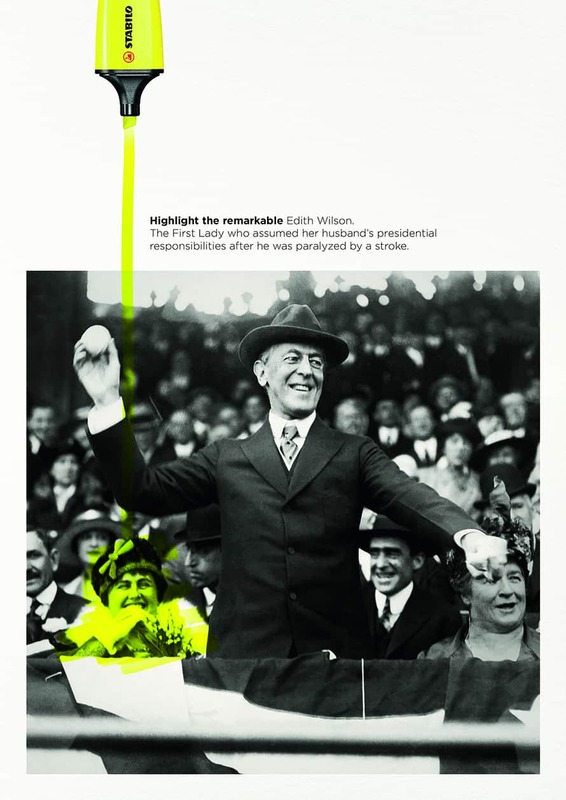 But the most divisive installment is the one about First Lady Edith Wilson, who quietly took over many of the roles of the presidency after her husband, President Woodrow Wilson, was bedridden by a stroke in 1919. For a year and a half, she managed many of the White House’s daily decisions, and her role as a self-appointed “steward” of the executive branch has long been debated by historians. Even with that context, each woman is unquestionably—to the point of the campaign—”remarkable” in the literal sense of being worthy of recognition, credit and discussion. And the same could certainly be said of these ads.